The weather was perfect for Austin & Williams’ first-ever company picnic. 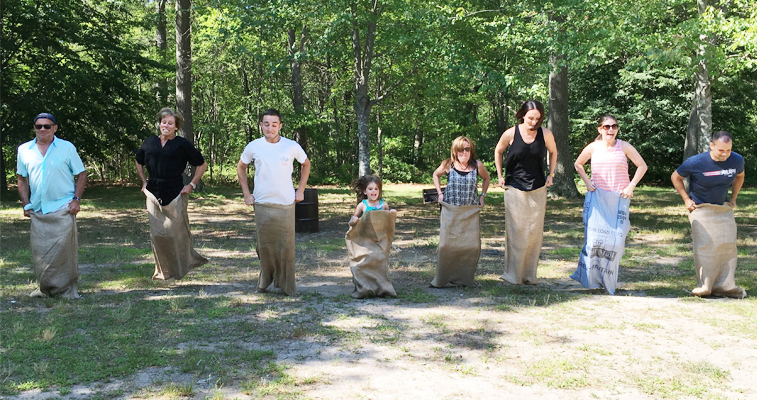 Everyone brought their families to Belmont Lake State Park for delicious barbecue, Kan Jam, water balloons, corn hole and even a potato sack race! A&W party photographer and integrated media planner Helen O’Rourke was forced in front of the camera to celebrate a huge milestone: 10 YEARS with Austin & Williams! Then the tables were turned on Eva and Rick when we all surprised them with a hilarious poem and the Badass Boss award!